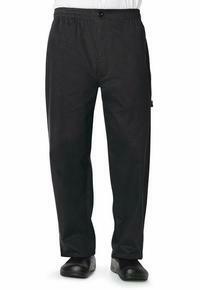 Chef Pant Classic Trouser. Full elastic wasitband w/​ drawstring. Durable construction. Two front pockets. One back pocket. Zip fly.